Despite the best efforts of the internet, the Academy of Motion Pictures Arts and Sciences isn’t giving up on its absurd quest to introduce an Oscar for “outstanding achievement in popular film”—or, as it’s more commonly known, the “best popular film” Oscar. As Variety reports, Academy president John Bailey returned to the idea of rewarding the most-liked films during a panel discussion at the EnergaCamerimage Film Festival in Bydgoszcz, Poland. Although the Academy suspended the introduction of the new Oscar category following intense backlash, Bailey reveals that he’s not giving up on it just yet. Bailey cited the very first Oscars, which handed out two awards for best film: “Outstanding Picture” and “Best Unique and Artistic Picture.” Conveniently sidestepping the fact that it was 1929 and no one could be bothered to come up with better categories given the whole “Great Depression” thing, Bailey still thinks this was a good approach. 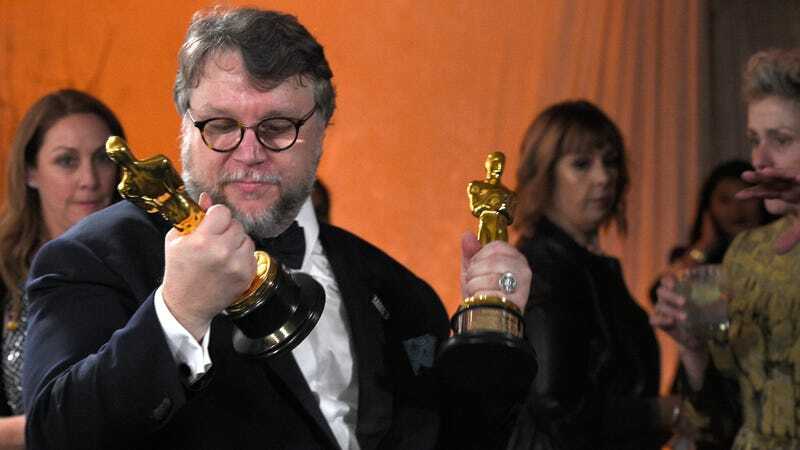 Speaking of the “best popular film” Oscar as if it were the hardening corpse of an immortal lover he was forced to murder because he—and only he—could shoulder such a burden, Bailey said (warned? ), “Even after a stake was driven through its heart, there’s still interest.” And yet, those were not the most bone-chilling words uttered by Bailey, who also made this menacing statement: “There’s desire to expand the awards to millennials, many of whom do not have TV.” To be fair, Mr. Bailey, it’s not because they don’t enjoy televised entertainment; they’ve just spent all their nickels on those shiny avocados.